You will have access to supportive online motivational videos, music, facebook, activities and anything I have personally used, sourced from my guru’s. These include work from Dr Wayne Dyer, Sonia Choquette, Louise Hay, Esther & Jerry Hicks – the work of Abraham, Don Miguel Ruiz, Anthony Robbins, Byron Katie and many more. Enjoy journaling and quiet time to reflect and reassess where you are at! You are prompted to do this. It’s the break you’ve been wanting, yet have put aside. It’s the break you need so you won’t break down. When you book before July 2018 you receive my special introductory price of $97.00. 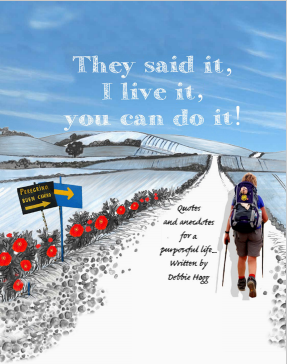 Plus you will receive a copy of my ‘They Said It, I Live It, You Can Do It eBook. Nurture yourself Now. Book now and then decide where you will go!